OK, Thanksgiving is the day after tomorrow. You got this. 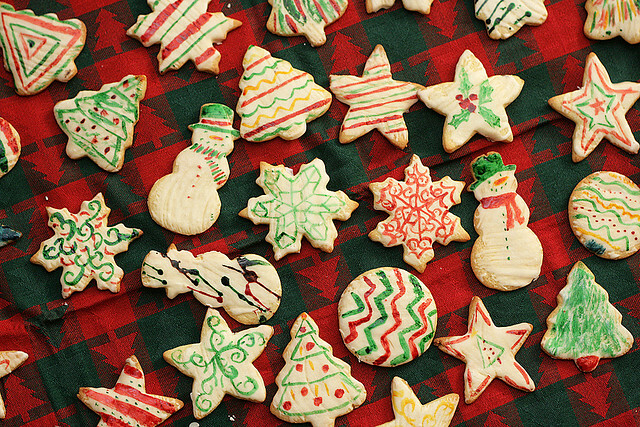 But brace yourself: Christmas is one month from today. Hanukkah starts three weeks from tonight. And Black Friday is three days away. Which means the gifting starts about … now. Just kidding –you can have dinner first. 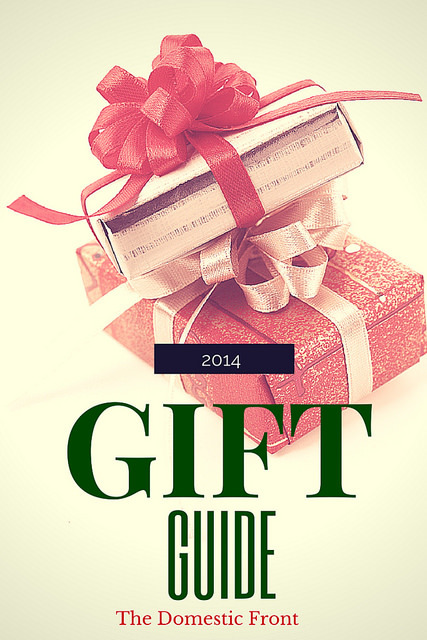 I racked my brain to come up with a theme for this year’s gift guide – and I thought of an awesome one – “Stuff I think is cool”. I assure you that EVERY item listed fits perfectly within the theme. 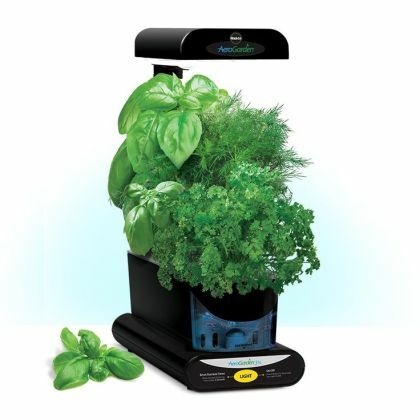 Plus, at the end of the post, you can enter to win a super cool AeroGarden 3SL indoor herb garden. As per the usual, some (not all) of the links are affiliate links, which means if enough of you click on them I may be able to buy a cup of coffee (or not). Also, Aerogarden was kind enough to sponsor the giveaway of the super cool Aerogarden 3SL unit, which grows three plants at a time. Scroll down to find out how to enter. Blogger Erika Penzer Kerekes of In Erika’s Kitchen makes these delicious sweet and savory sauces in nearby Santa Monica. They are made with a ton of real fruit – Cherries, Blueberries, Dates and Figs, and are a great addition to holiday hams or poured over cheese logs. 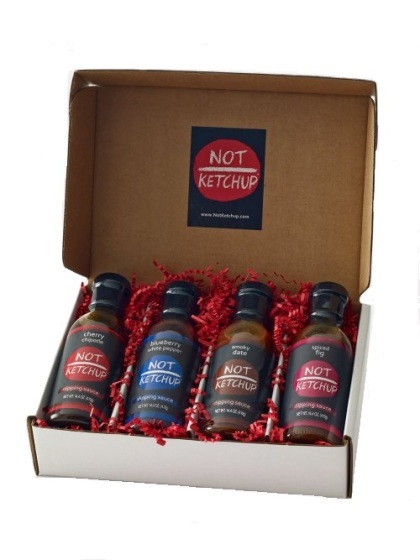 The gift set also comes with a basting brush that’s perfect for barbecuing or roasting. E. Waldo Ward is a 4th generation preserve maker with a tiny orchard and factory in Sierra Madre (a tiny town right next to Pasadena). They make a variety of jellies and jams, but marmalade is their signature product. 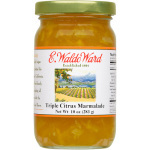 I love this triple citrus marmalade as a big dose of California sunshine! Everyone’s skin gets dry in the winter – even in California! Lather is a local company that makes high-end skin care products that smell heavenly and contain natural ingredients. This Yuzu renew gift set, with Yuzu Bergamot Moisturizer and Yuzu Sugarcane body buff, would brighten any host’s day. Stocking Stuffers in our family are for adults as well as kids, and anything that fits into the stocking (or occasionally, beside it) is fair game. I like to keep stocking stuffers either totally frivolous or totally useful. Bonne Bell Lip Smackers Bonne Bell Lip Smackers are a classic stocking stuffer from my childhood, and my daughter gets them in her stocking every year. She loves the soda pop and candy sweet flavors, and we BOTH love the pale pink hue of the Dr. Pepper. 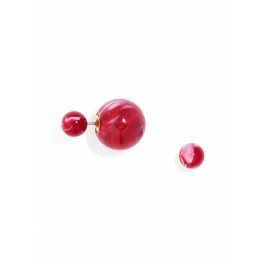 Bauble Bar is a super fun site to find costume jewelry. I love these 360 studs (and have a pair myself) – plain enough to be classic, but with just a little edge. They go with everything, too. I work in entertainment, and I’ve noticed that wearing fun colored socks has become a very chic way for men to liven up an otherwise conservative outfit. 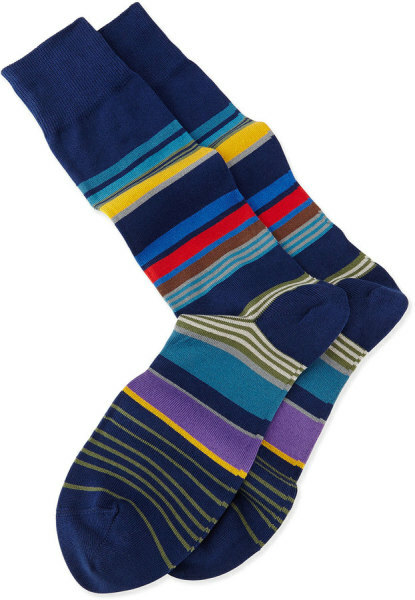 I like these stripy ones from Paul Smith. Of all the (millions!) of toys my kids have, none get more play than their miniature figuerines. 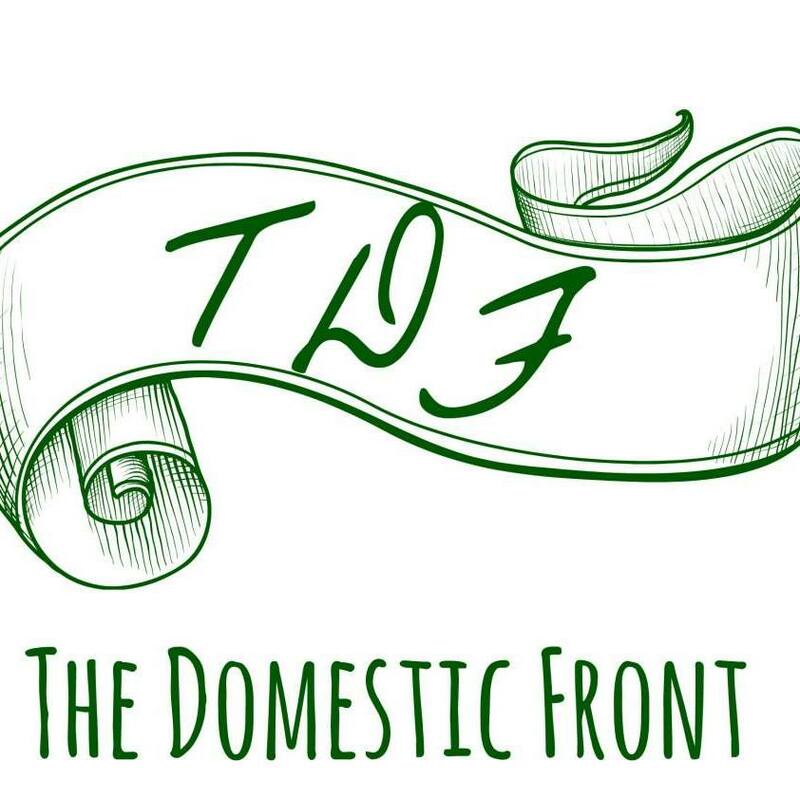 We’ve got Disney princesses, Winnie the Pooh characters, safari animals, elves, horses and unicorns that go in and out of boxes, onto toy trains, in the car, tucked into backpacks. and endlessly reorganized, rearranged, and traded. Schleich and Papo make some of the highest quality ones, out of sturdy, detailed plastic, but I’m particularly drawn to Papo’s collections – queens and knights and fairies and wizards and these very cool Pirates. 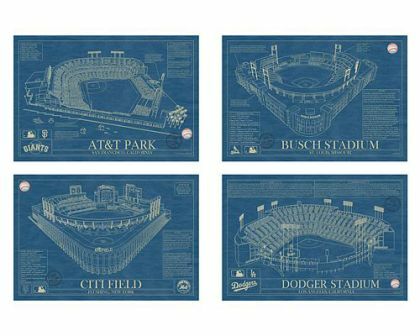 Our family has many members whose blood runs Dodger blue, and I can’t imagine a better gift for them than one of these blueprints showing Dodger stadium (except maybe a signed Clayton Kershaw game jersey, but I’m not made of money). These prints from Uncommon Goods are available for over 30 ballparks (including some of the old stadiums that any true baseball lover would appreciate – in addition to Dodger Stadium, there’s Fenway Park, Wrigley Field, Yankee Stadium…) and are attractive enough to hang anywhere. Hedley & Bennett is another local company that makes amazing aprons. The founder worked in a series of restaurant kitchens and designed her aprons to meet all the needs of a professional chef. They are handmade in Los Angeles, and feature high quality fabrics, sturdy features like reinforced pockets and brass hardware, and details like a special pocket for tweezers and small kitchen utensils. I’ve heard (on the radio) that lots of chefs are snapping up these aprons, and I think they’d be a great gift for anyone getting serious in the kitchen. My kids have the pink version of this and even though we are currently in a “pink stinks” phase, it gets a lot of play. This one is a little more classic in its design, and offers hours of fun. The castle is flexible – closing into a box or opening into a long, narrow castle, and fosters lots of imaginative play – especially with the aforementioned Papo figurines and Disney princesses. Kids love ANYTHING that makes noise, and Christmas morning seems extra festive with an impromptu orchestra. As a mom though, I cringe at the quality of most instruments designed for kids – they’re off key, have terrible tone, and are often impossible to play. This toddler xylophone (we have two) is an exception – the notes are clear and IN KEY, and the instrument is sturdy and stands up to banging from both toddlers and seven year olds. When it comes to growing something from seeds, I have a black thumb, but the AeroGarden promises to change all that. The AeroGarden is a great gift for anyone immersed in the Polar Vortex and craving fresh, growing things. It’s a hydroponic gardening system which comes with everything you need to grow an indoor herb garden – seeds, nutrients — even sunlight. All you need to add is water, and you’ll have fresh herbs three times faster than you would growing them conventionally. I’m partnering with the folks at AeroGarden to plant my own 3SL unit – I’ll be posting its growing progress on Pinterest. AeroGarden has also provided a 3SL unit for one of my readers. All opinions are my own, however. Enter below to win an AeroGarden 3SL Unit! 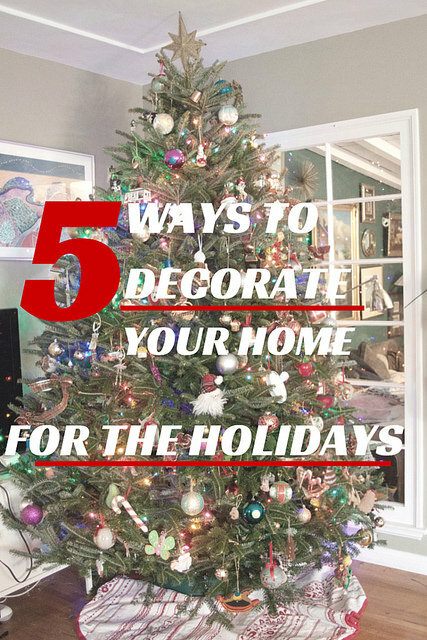 You may also enter by sending your name, mailing address, email address and the name of the prize on a 3×5 card to The Domestic Front, 340 S LEMON AVE #3304 WALNUT, CA 91789. Entries must be postmarked no later than the last day of the Entry Period and received within 5 days thereafter. Entries do not comply with these specifications will not be considered. Enter as often as you wish, but each entry must be mailed separately. Prize includes 1 AeroGarden 3SL unit including grow lights, liquid nutrients and a 3 pack of mixed herb garden seed pods – an approximately $69.95 value. No purchase necessary, void where prohibited. By entering, you certify that you are over 18 years old and a resident of the United States. AeroGarden will ship the prize directly. Expect 6-8 weeks for delivery. Please see the official rules.